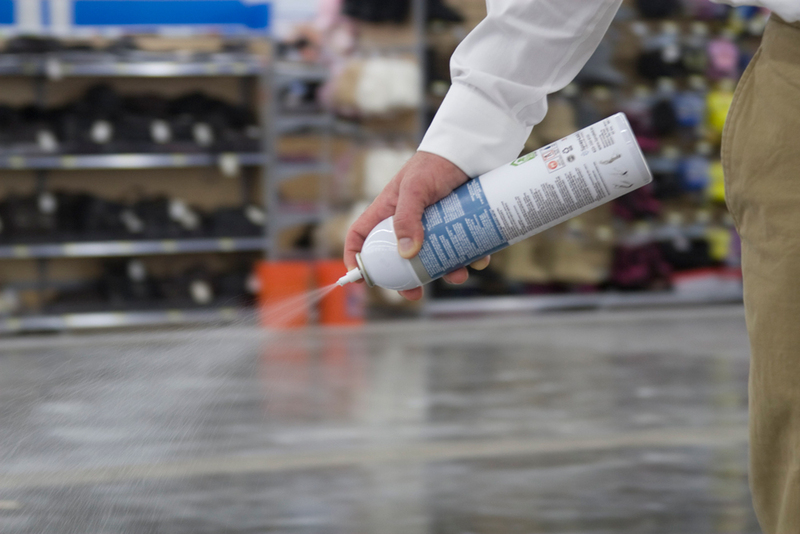 Spray-Lock Eco Adhesives save time and money, while offering excellent performance and protection against moisture issues. 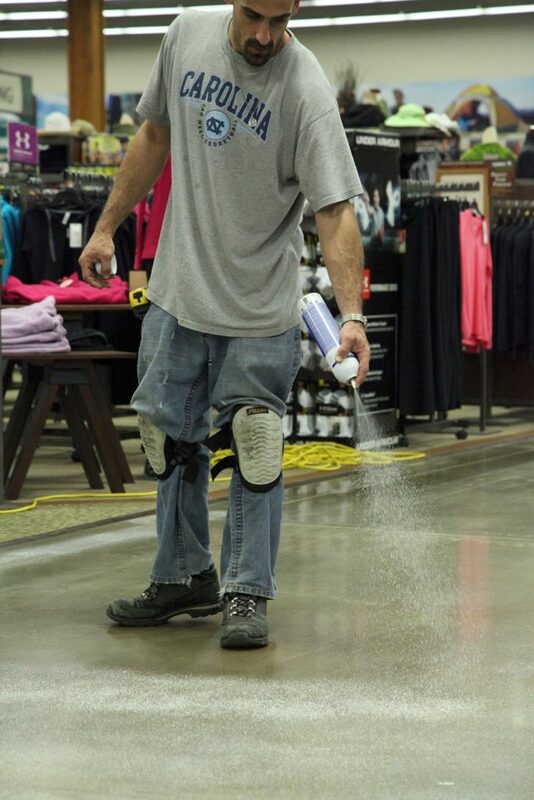 Time-tested over 20 years, our adhesives have been the solution for a variety of industries. 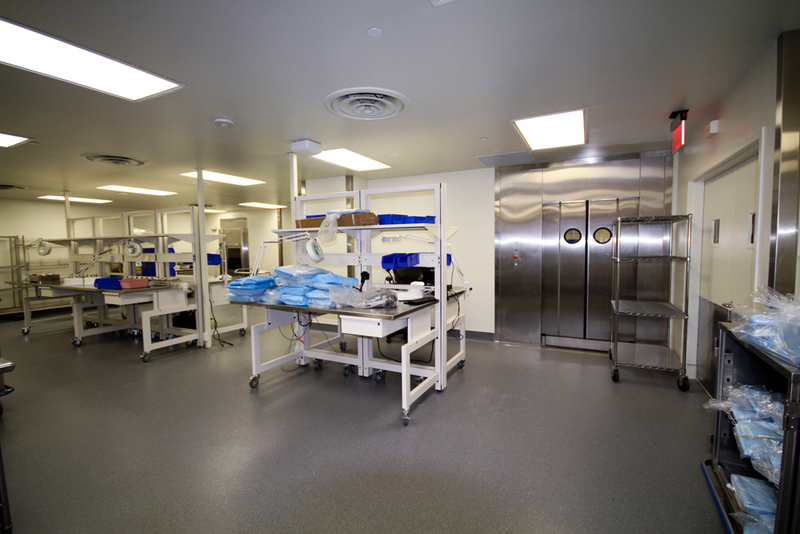 Hospital contractors used Spray-Lock 3500 to get a comprehensive warranty on the complex flooring project installed in its Sterile Processing Center. 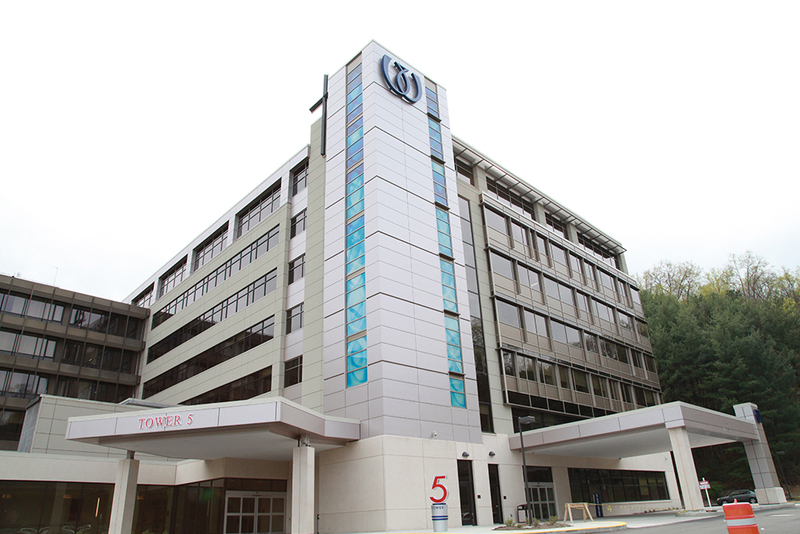 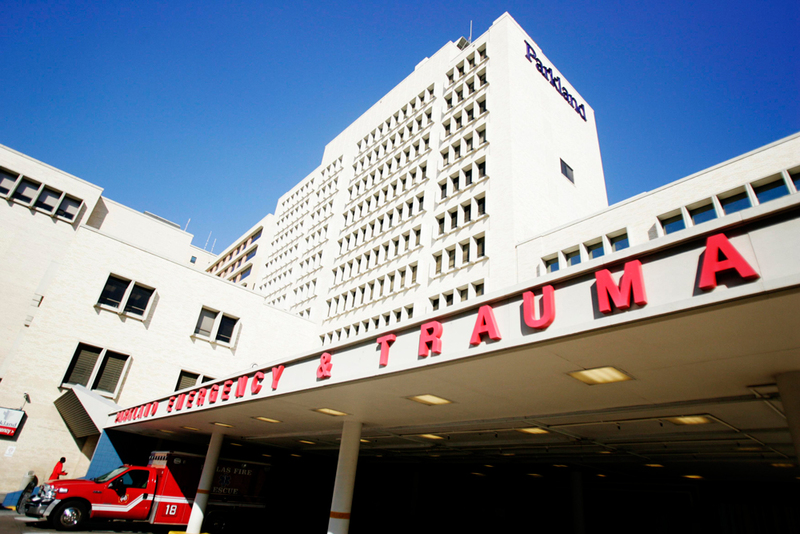 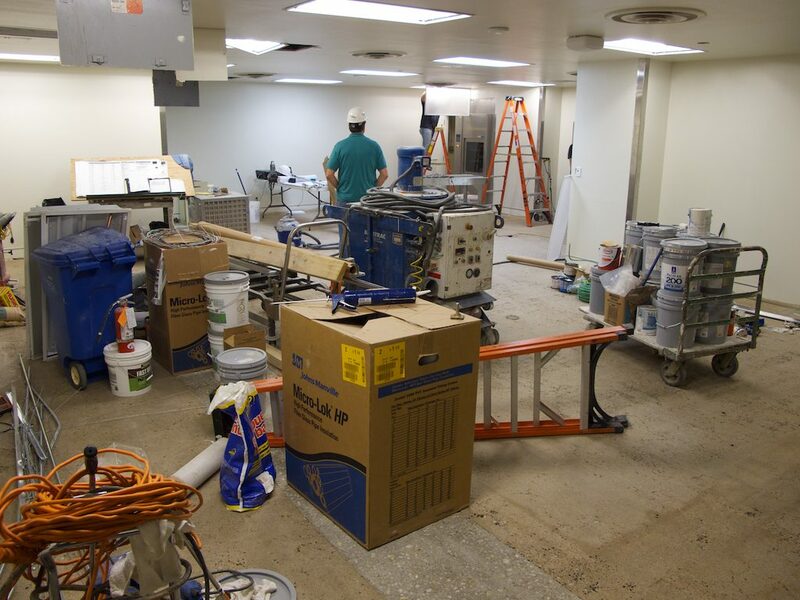 Weeks before opening Tower 5, adhesive telegraphing halted construction at Wheeling Hospital. 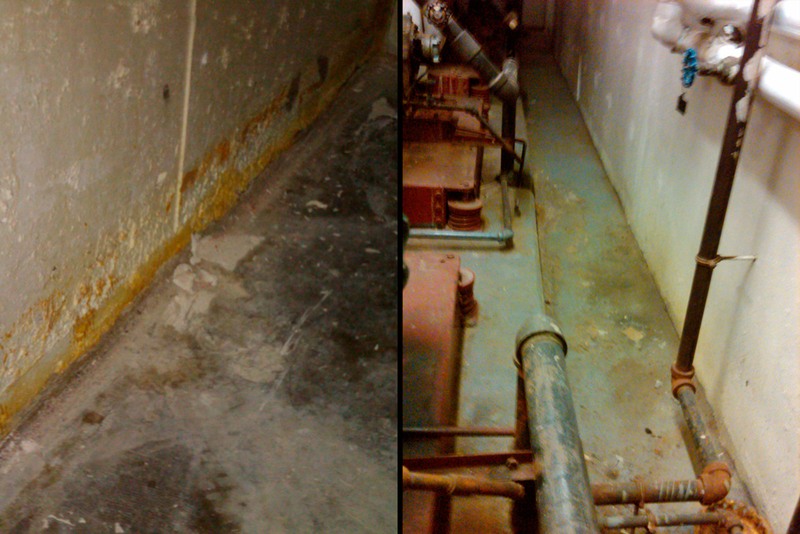 Contractors turned to Spray-Lock 3500 to replace 26,415 ft2 of sheet goods in only 10 days. 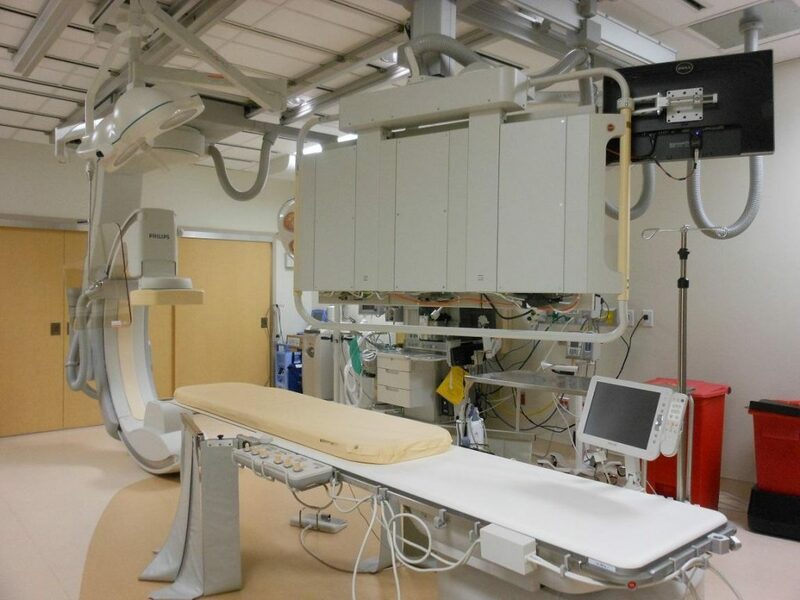 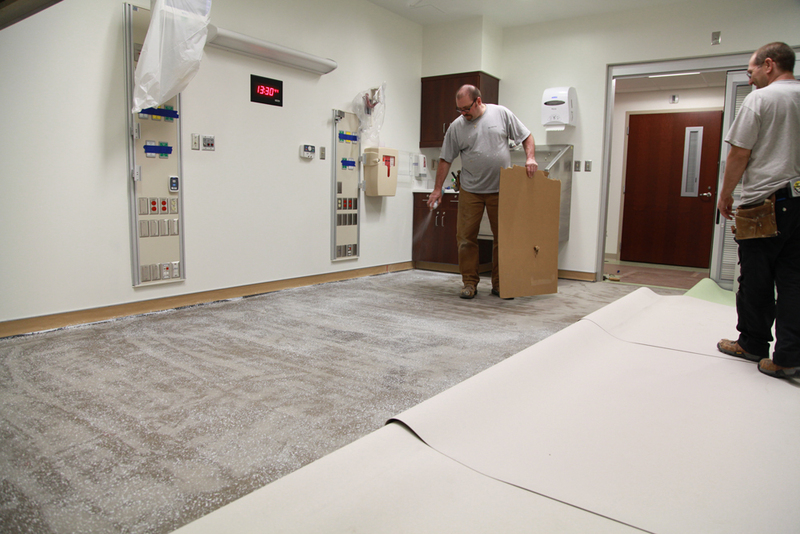 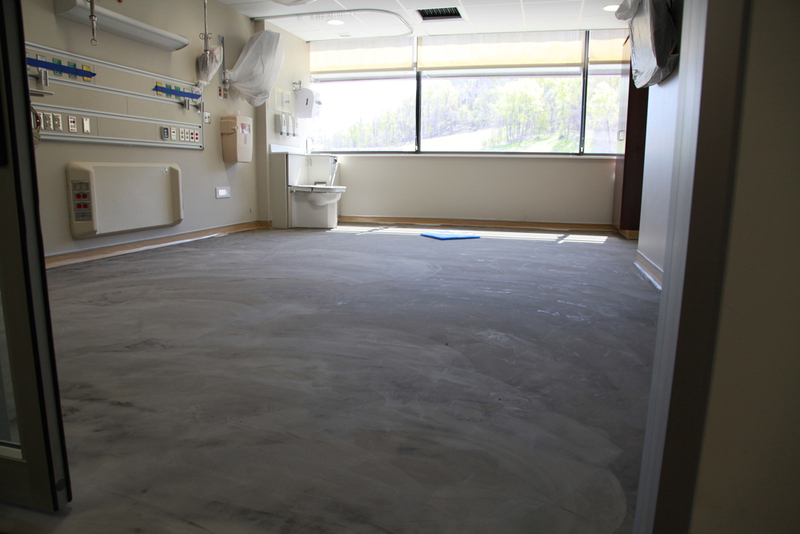 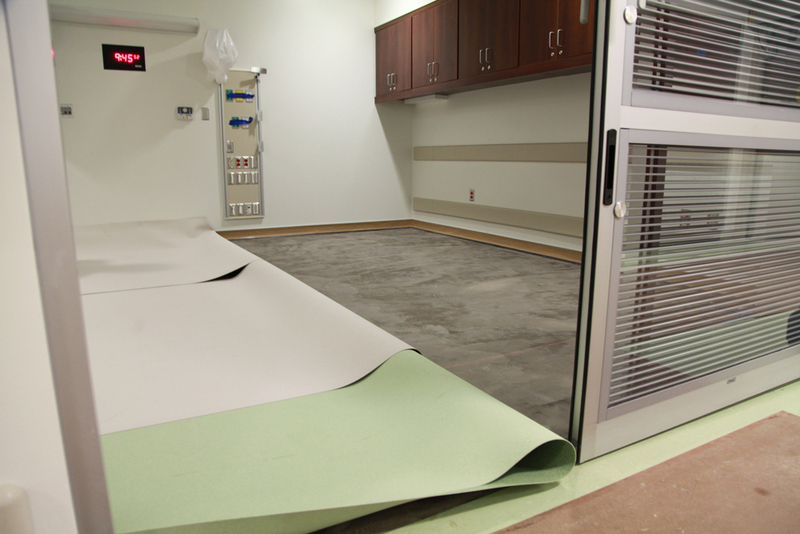 Renovations were disrupted when heavy operating tables ripped flooring installed with epoxy. 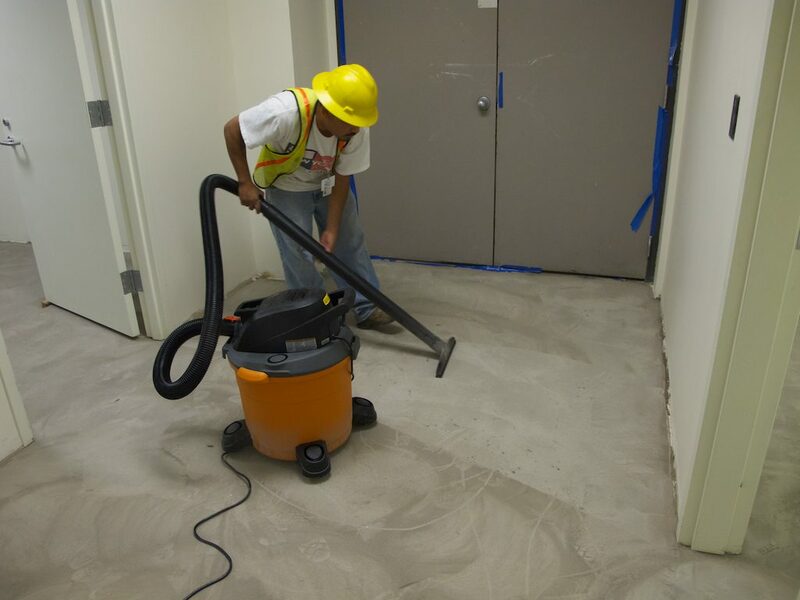 Seeking an immediate solution, contractors chose Spray-Lock 3500 for instant shear strength, putting their job back on schedule. 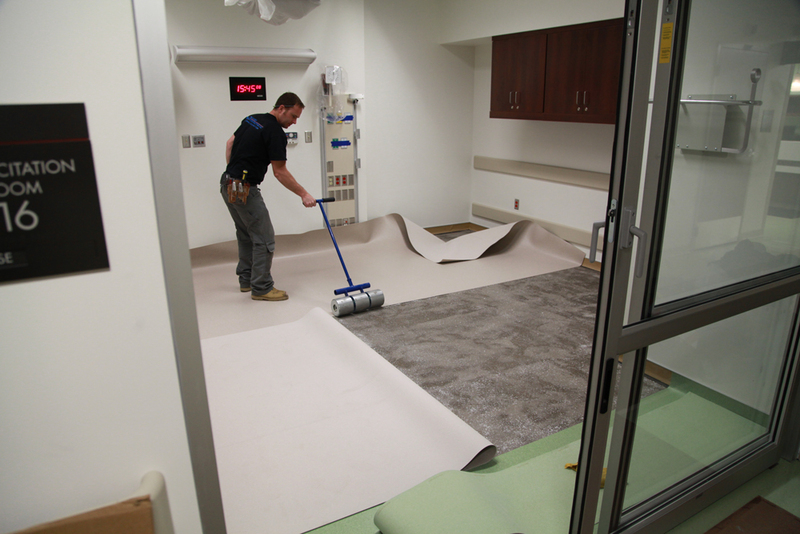 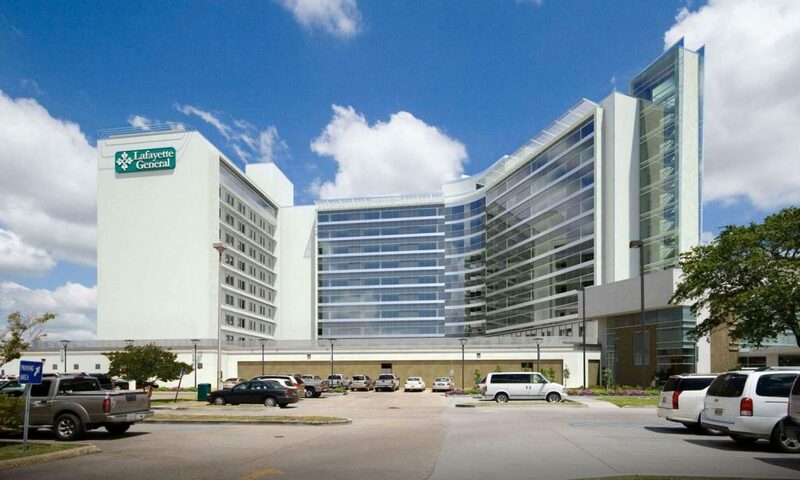 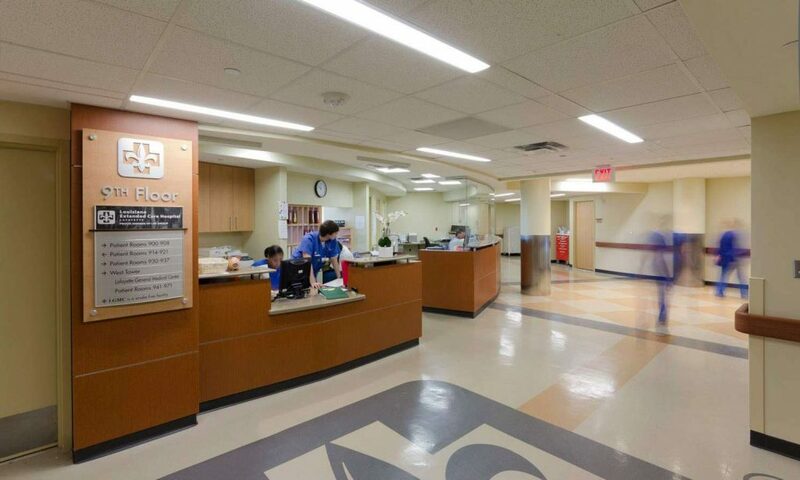 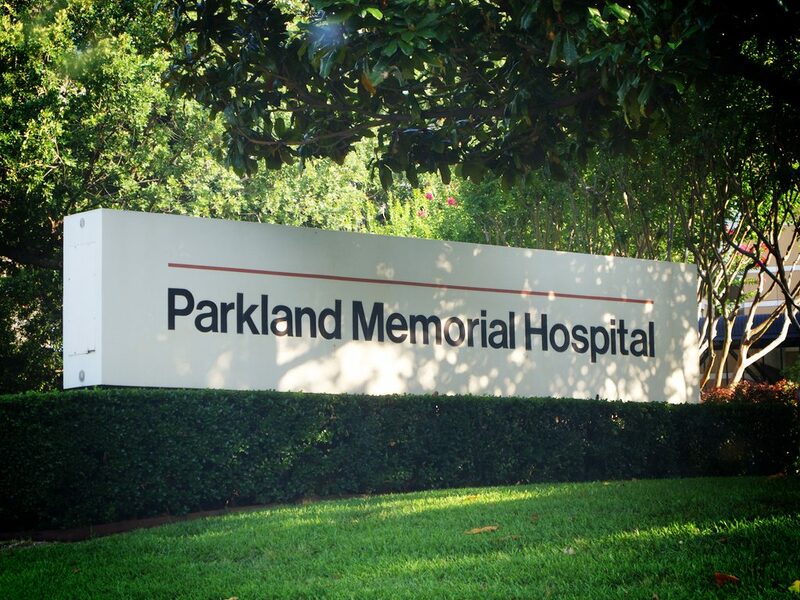 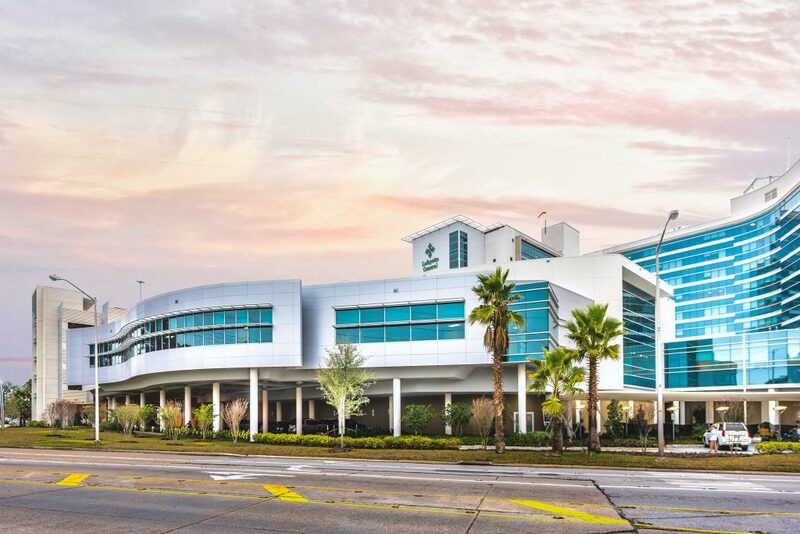 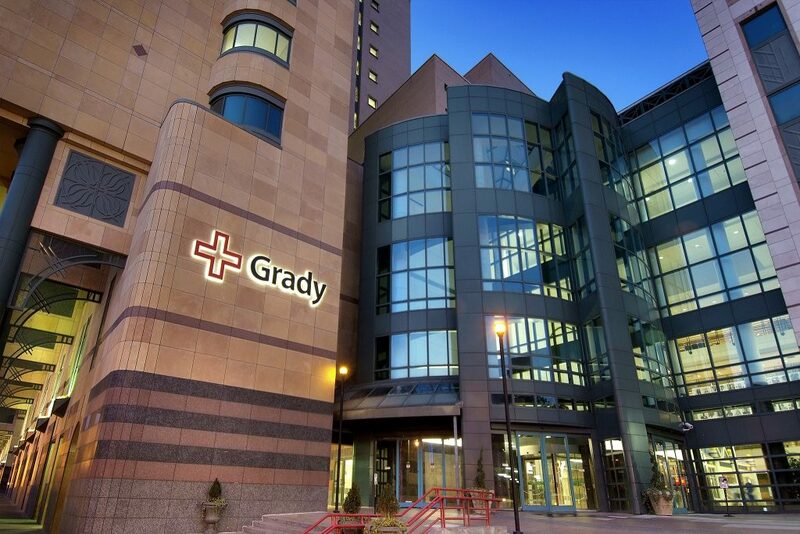 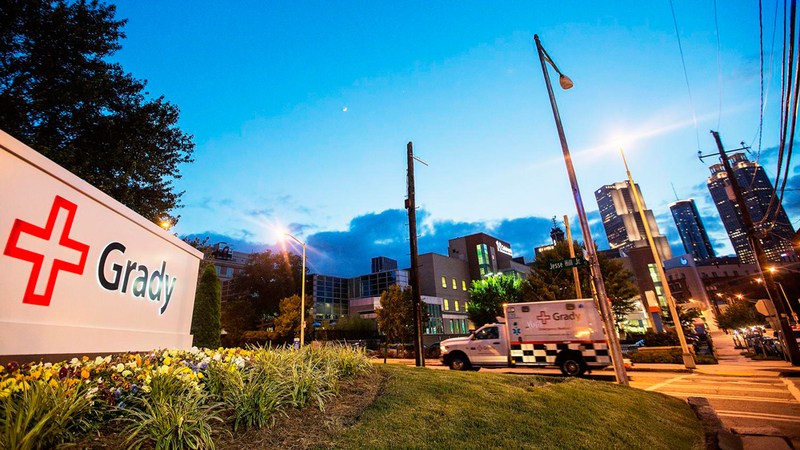 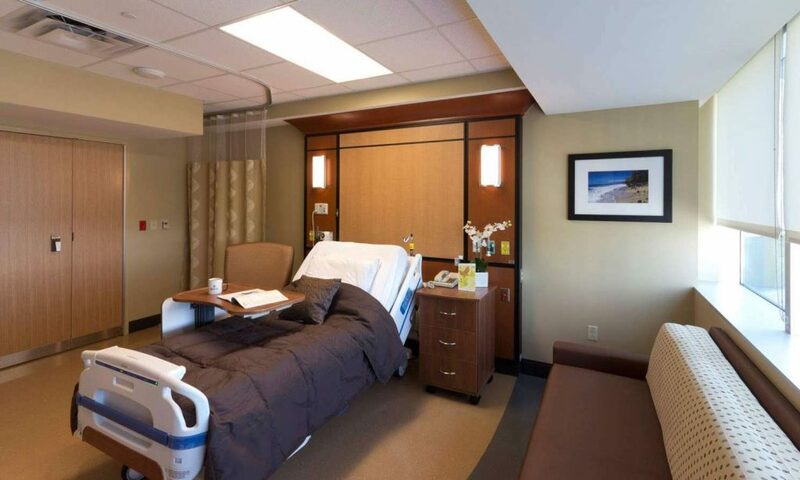 During a $70 million renovation, the hospital wanted an adhesive that contributed to healthy indoor air quality. 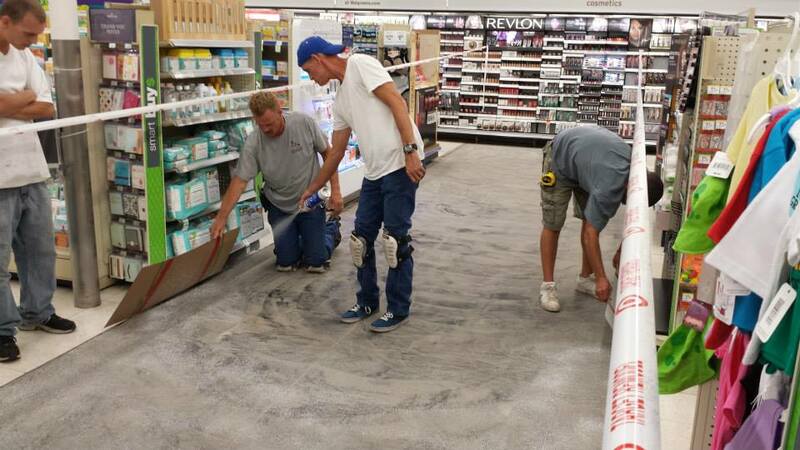 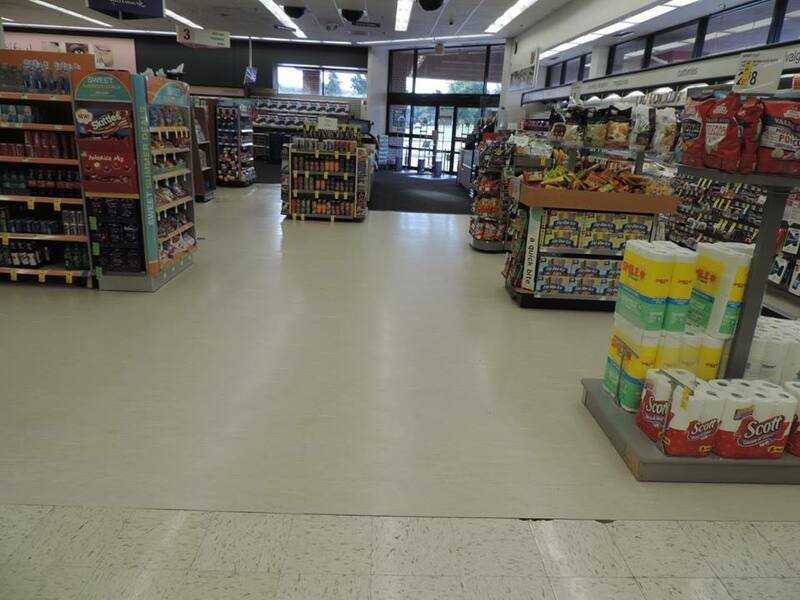 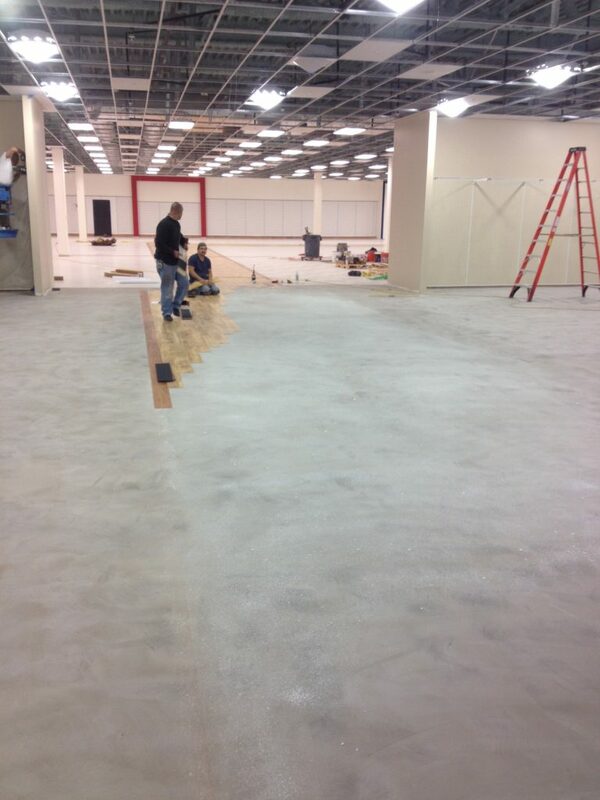 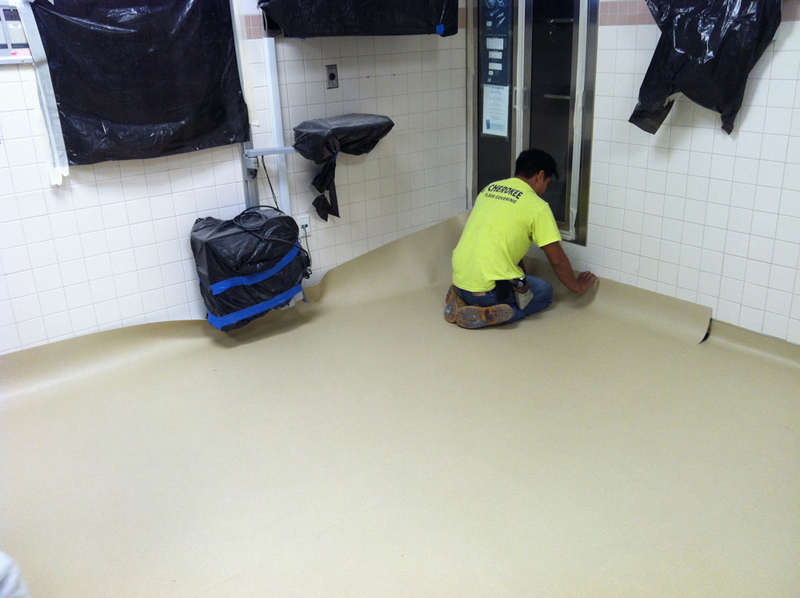 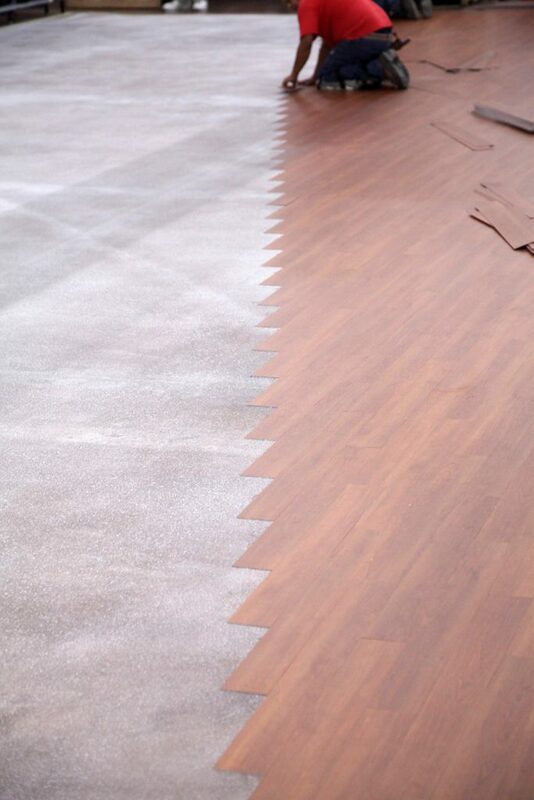 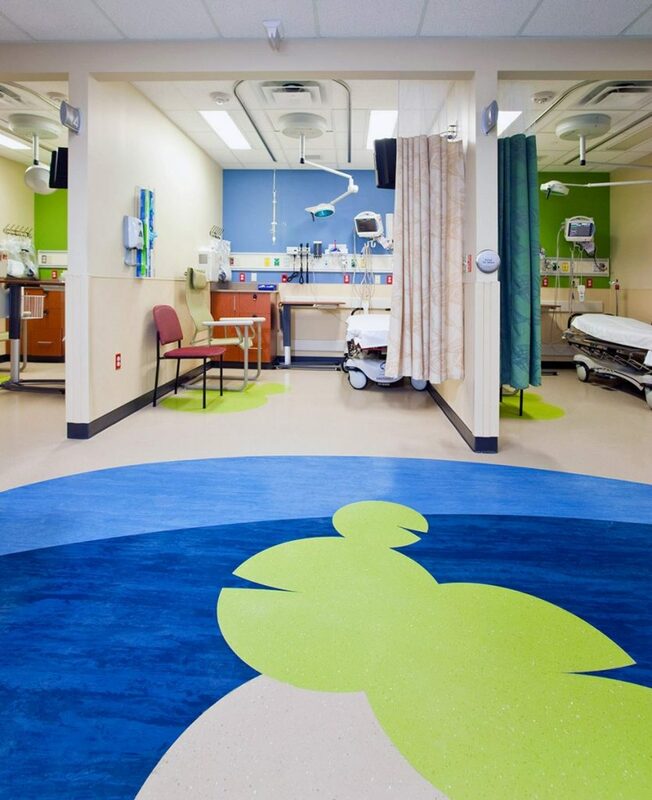 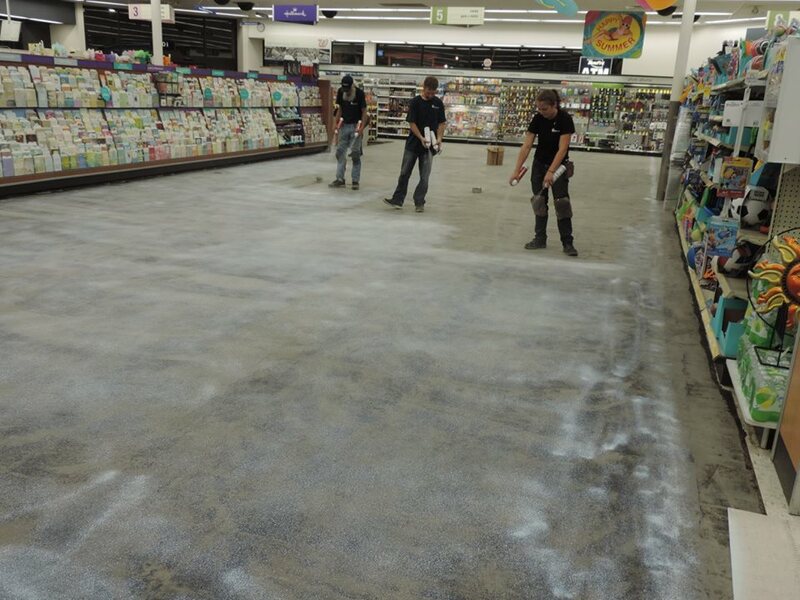 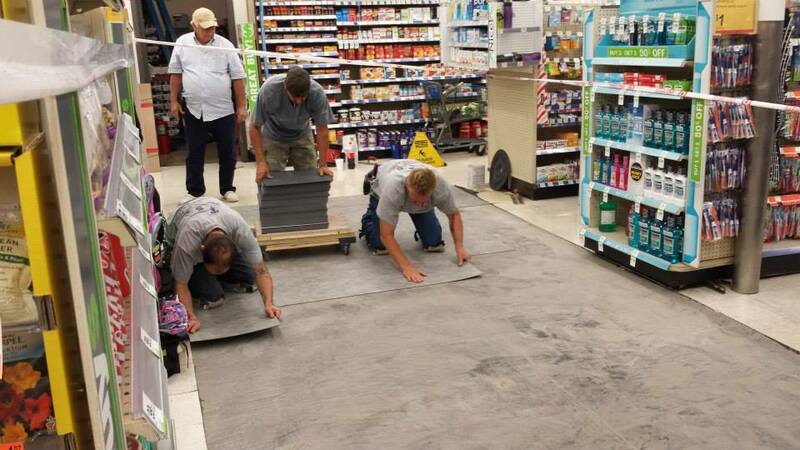 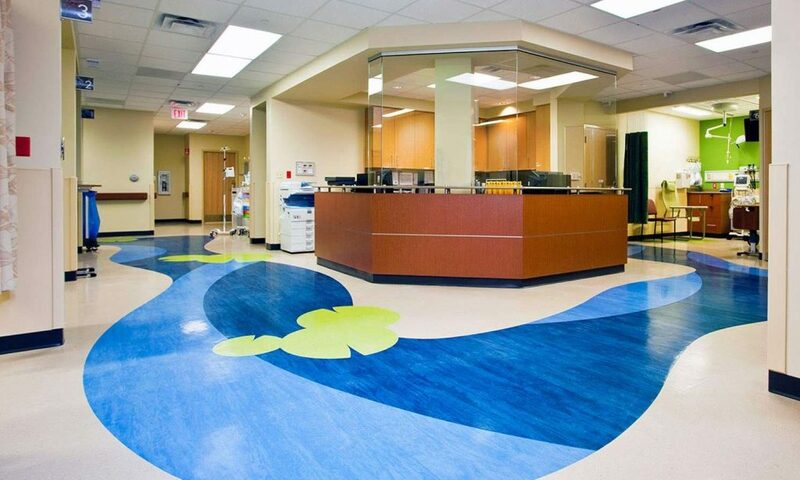 Spray-Lock’s 0.0 g/mL VOCs formulas helped them install flooring without any off-gassing. 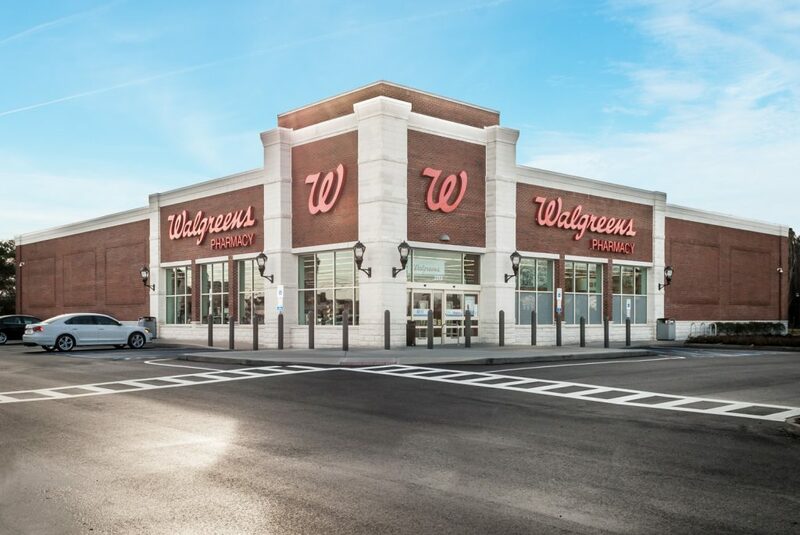 Walgreens stores all over the country have relied on Spray-Lock 6500 and 9500 (both standard and Platinum) as cost-effective solutions to installs on high moisture and high pH slabs. 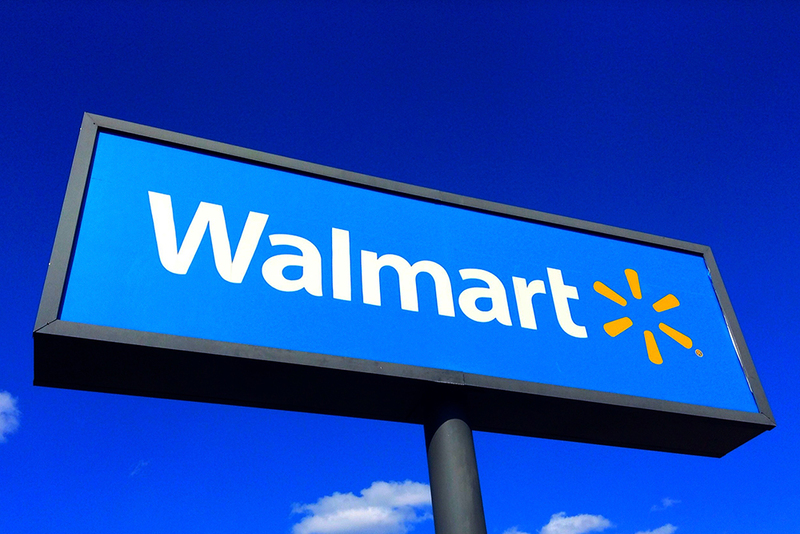 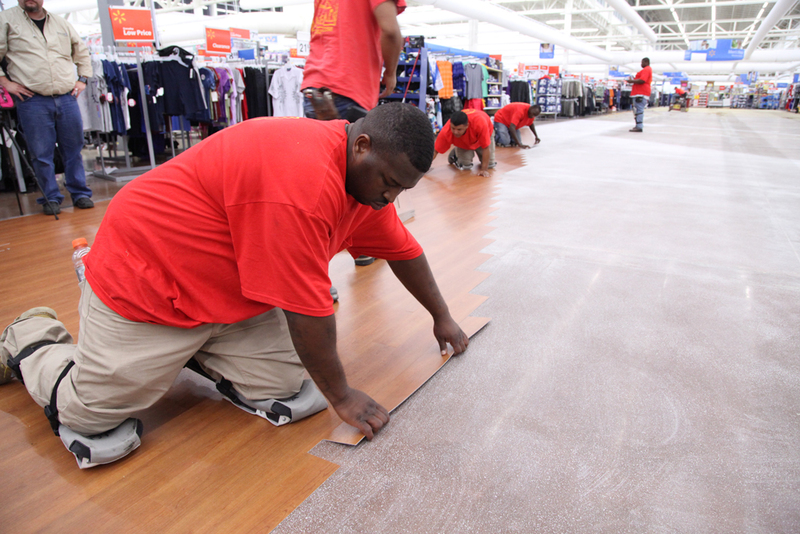 New and remodeled Walmarts all over the country have relied on Spray-Lock 6500 for their LVT installations. 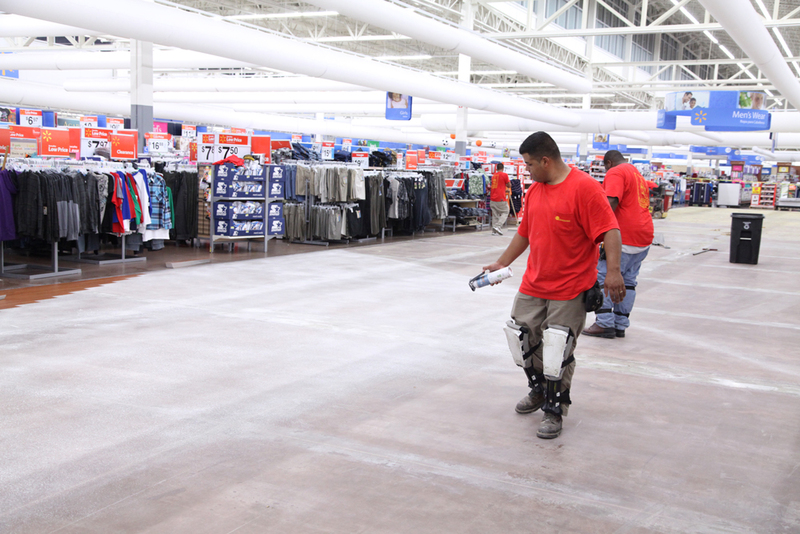 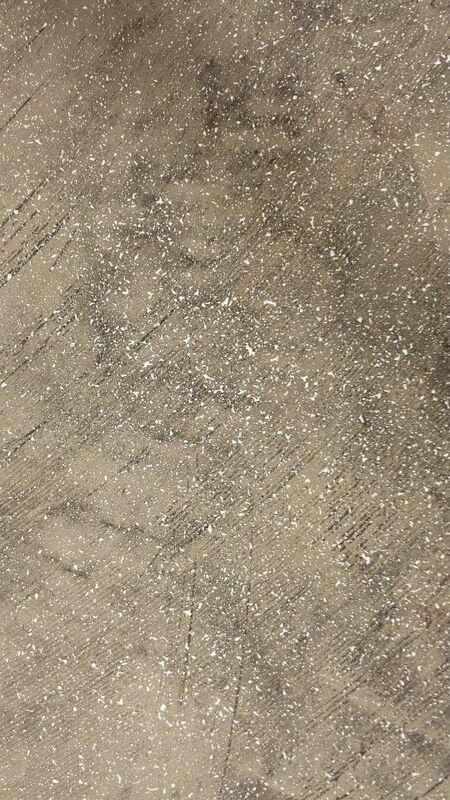 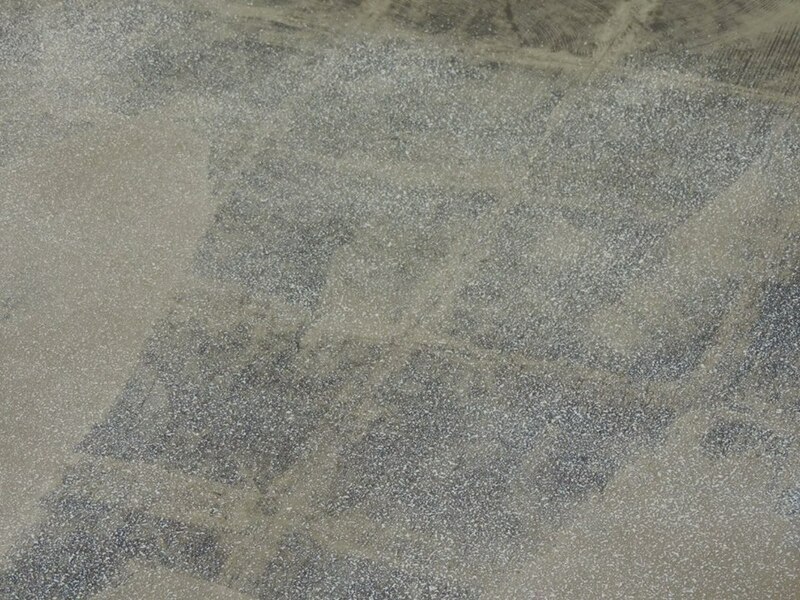 Used on over 300 million ft2, Spray-Lock reduced their flooring failure rate from 23% to 0%. 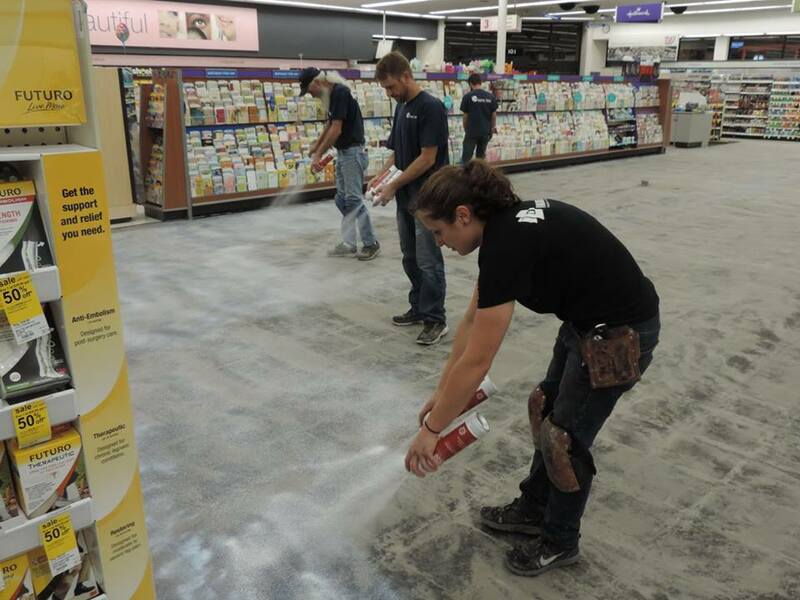 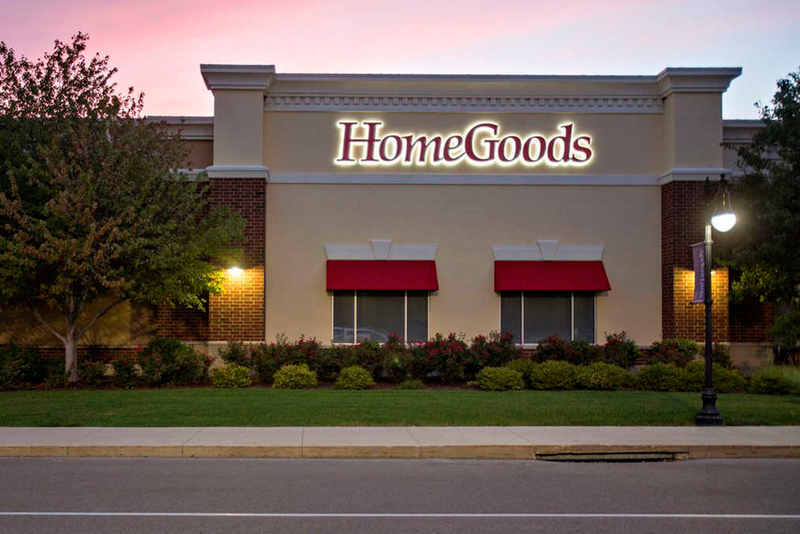 For a superior warranted solution to fast-track their schedule, contractors at HomeGoods chose Spray-Lock 6500 for their LVT plank installations. 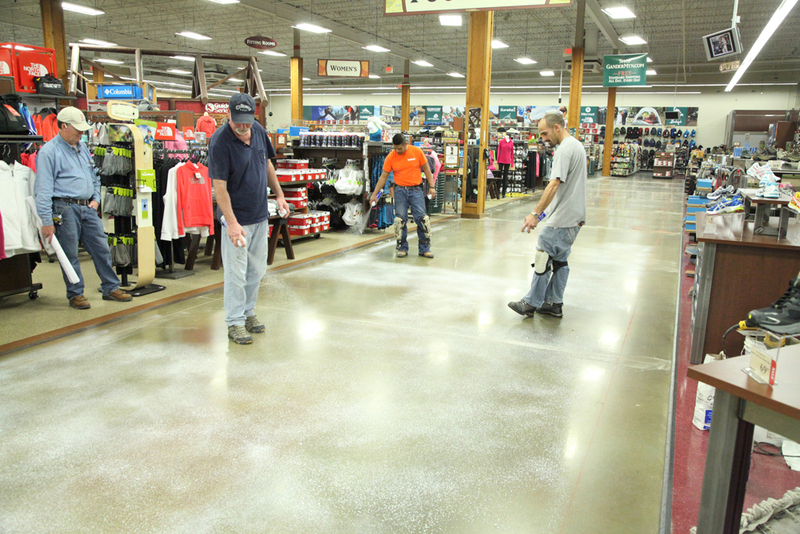 Not only did they get superior coverage, but installers appreciated the easy spray application. 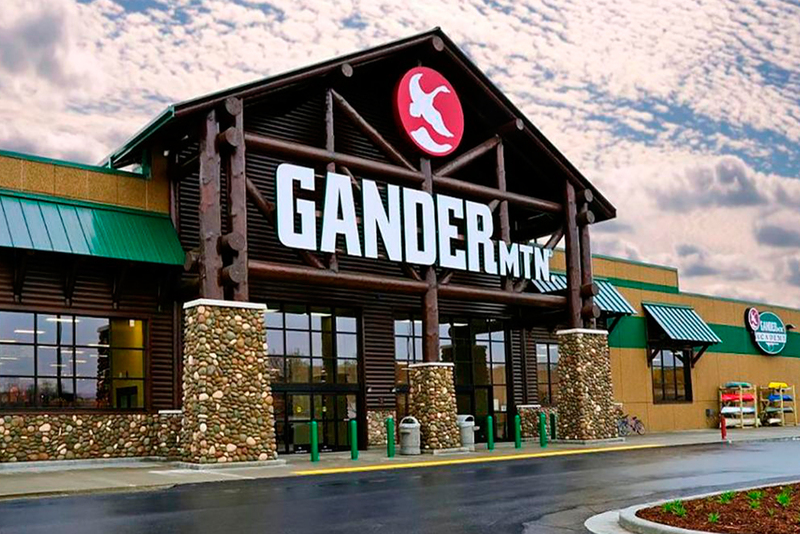 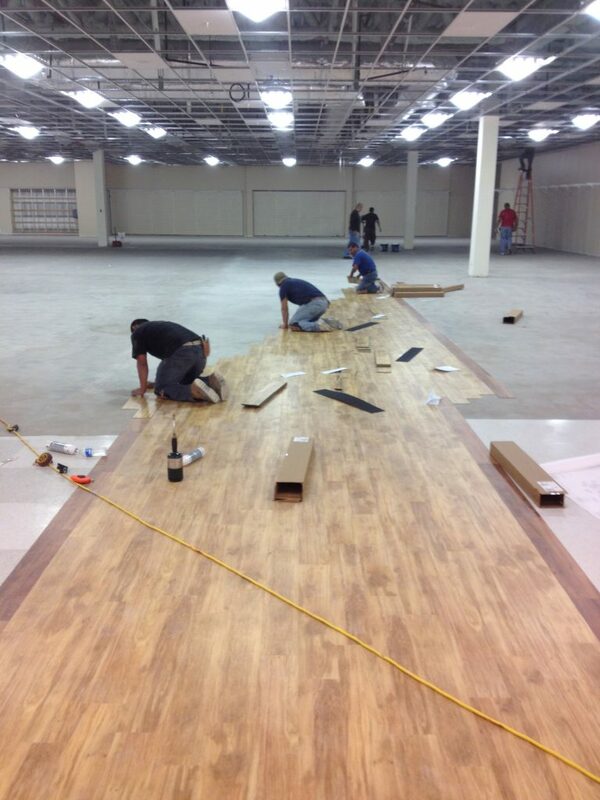 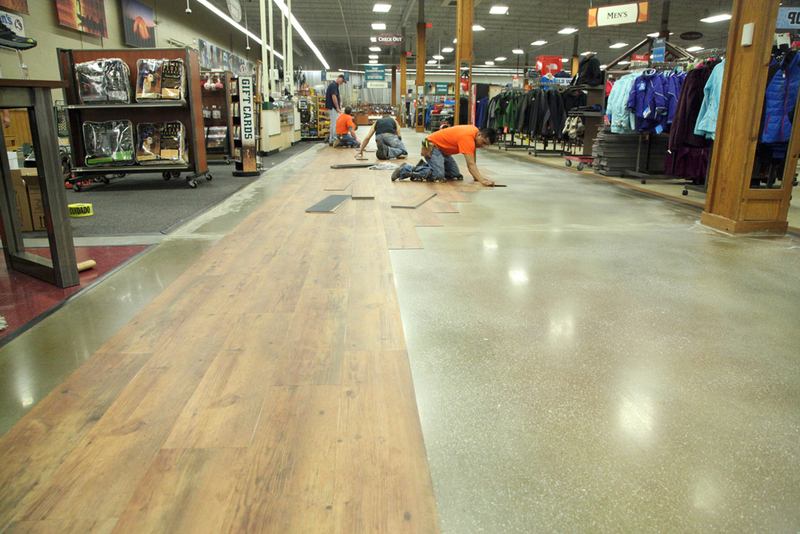 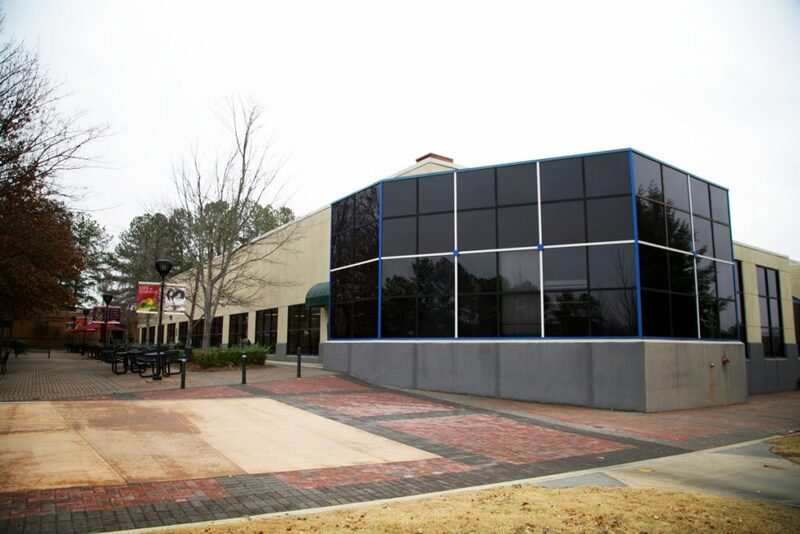 Substrate moisture issues led Gander Mountain to remodel one of their stores. 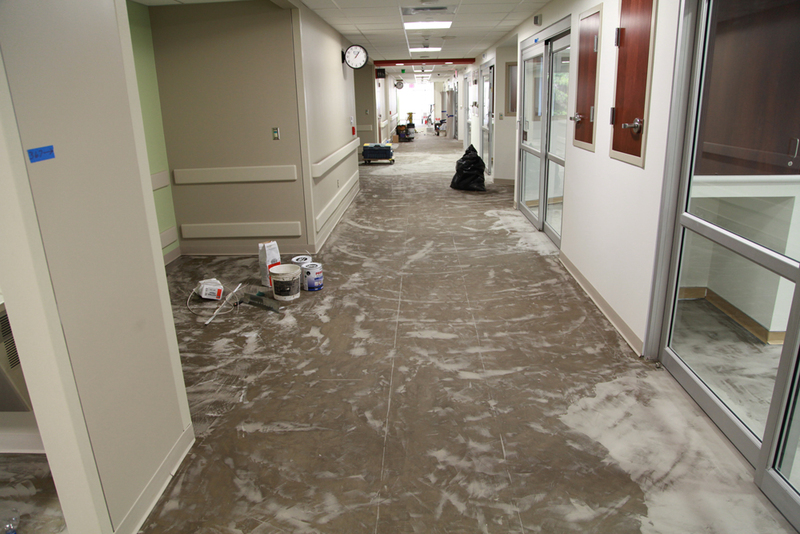 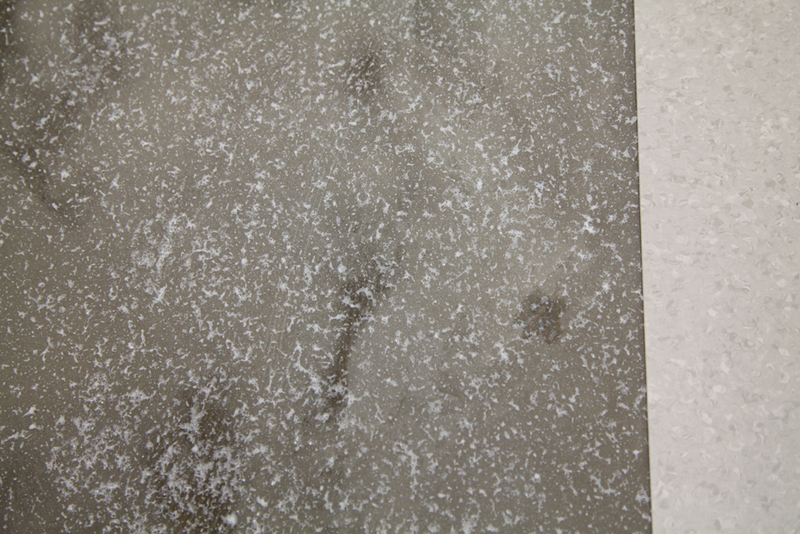 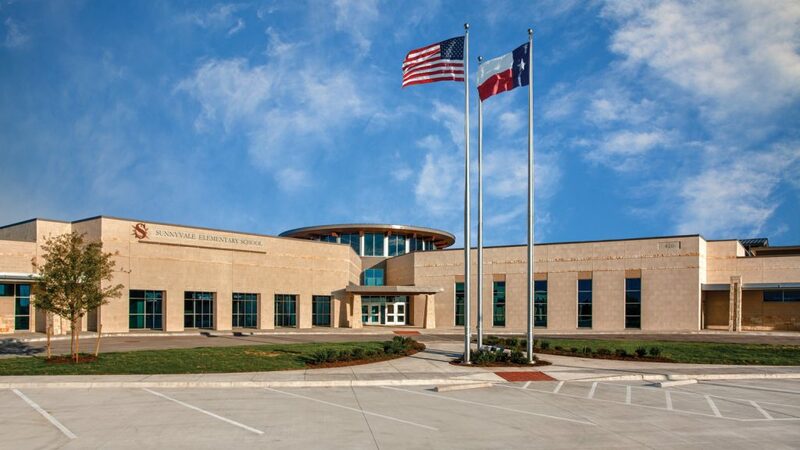 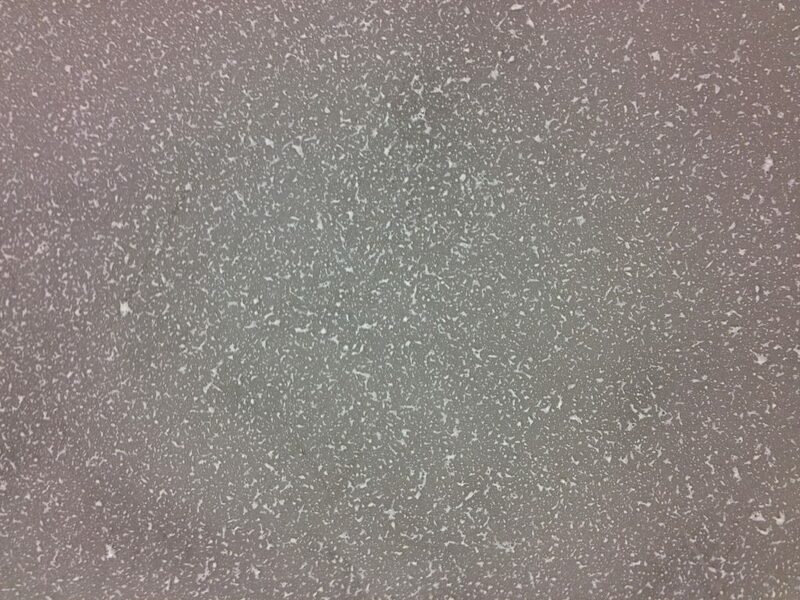 They found a warranted, moisture tolerance solution that made VCT replacement a breeze. 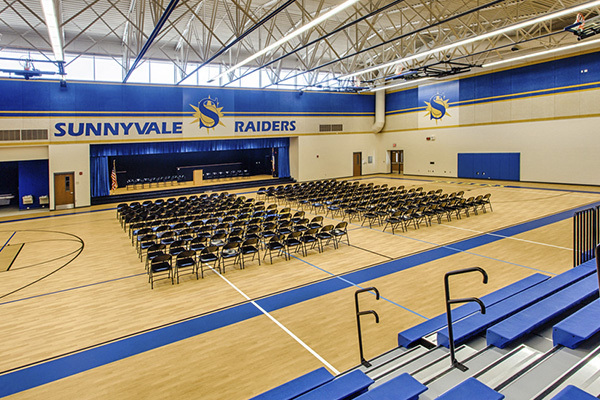 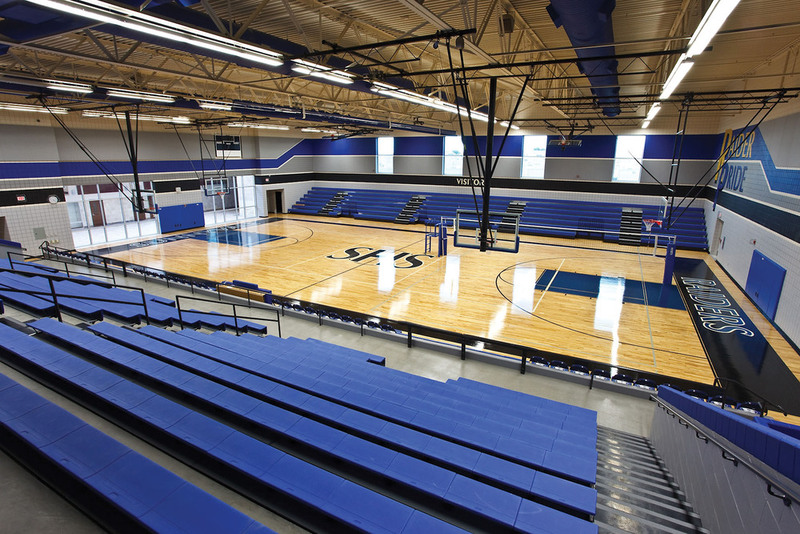 When installing a new gym for the Sunnyvale Raiders, contractors relied on Spray-Lock. 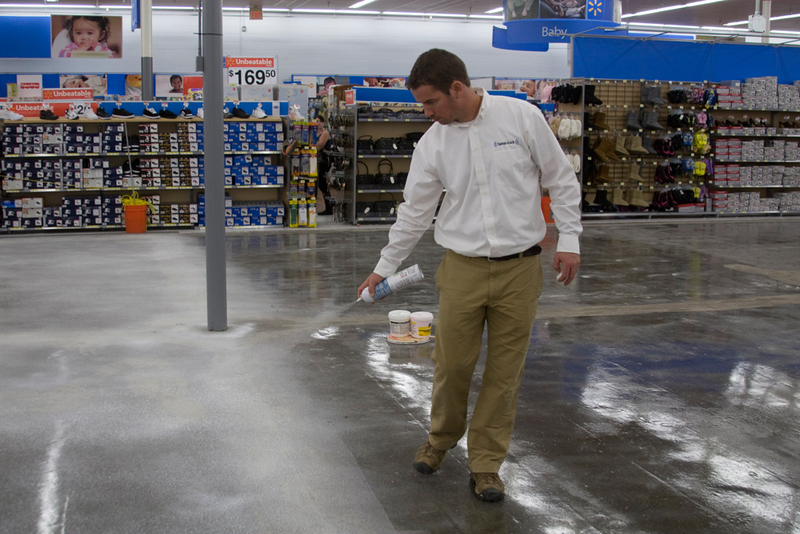 In addition to saving time and avoiding moisture issues, they also benefiting from decreased weight of materials when using our adhesives. 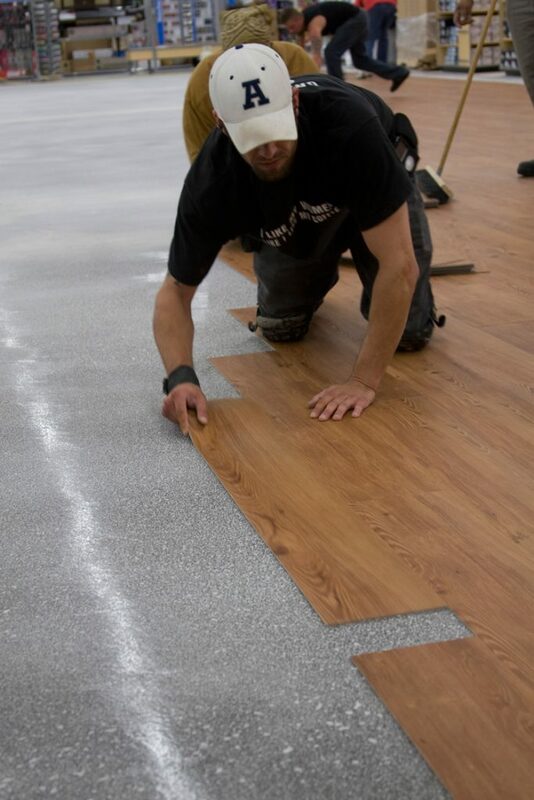 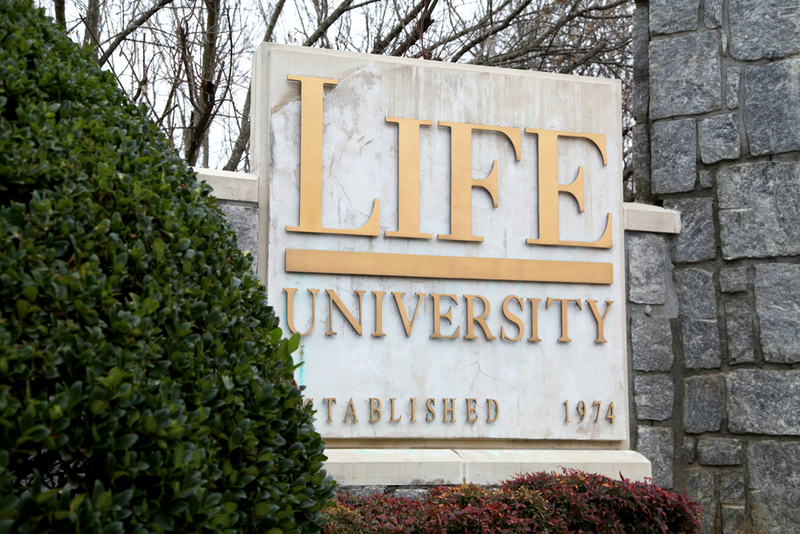 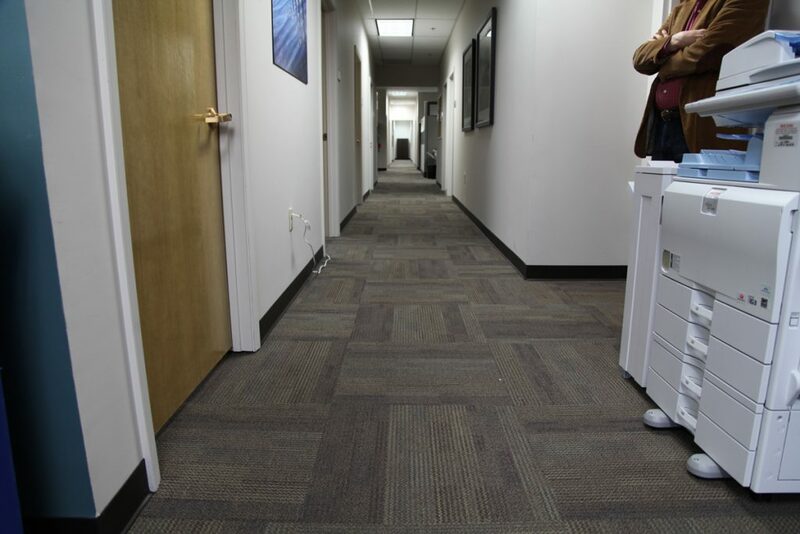 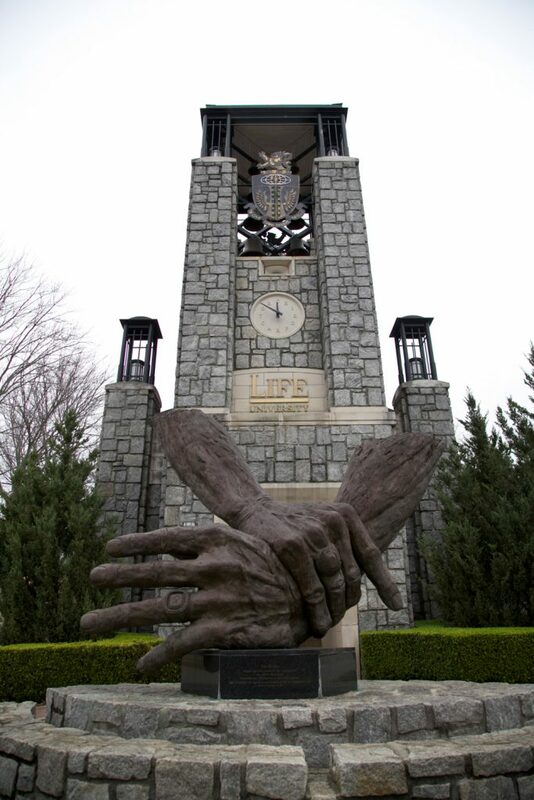 Life University contractors wanted a moisture tolerant adhesive for carpet tile that contributed to healthy indoor air quality. 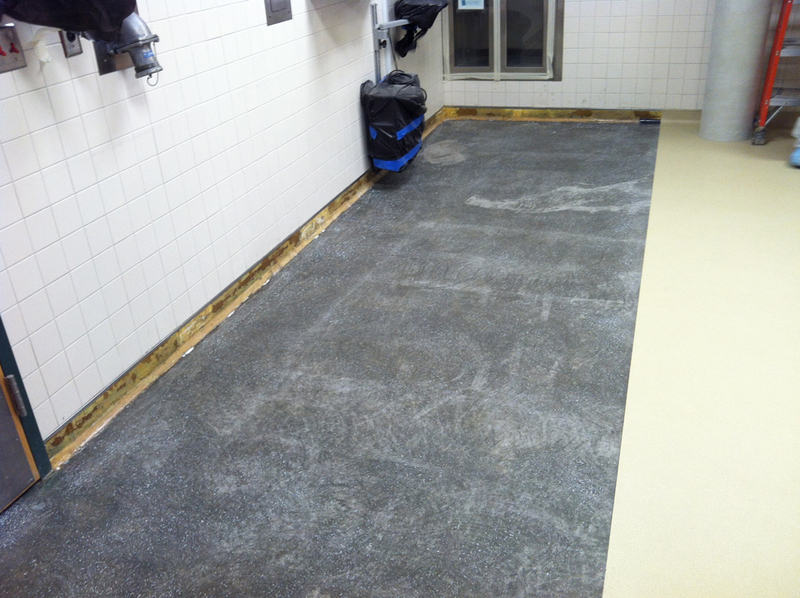 Spray-Lock 6200 was the solution they turned to, allowing them to finish the job quickly.